Helena was born in Franeker, Friesland, The Netherlands on 20 January 1918. 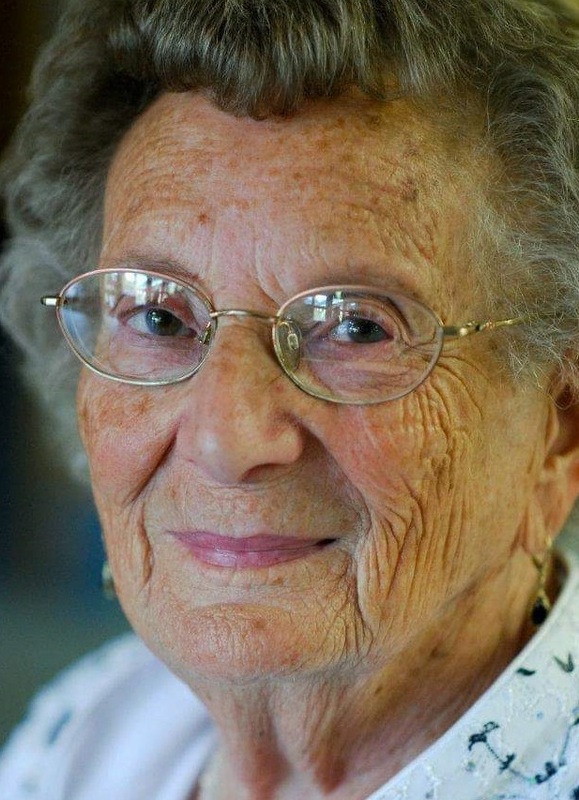 She died surrounded by family on March 30, 2019 in Stratford Ontario after 101 years of an eventful life. Born at the end of World War I she experienced the European upheavals through World War II and the struggles for stability thereafter. She Married Johannes Simon Jorna in 1941 and together they raised a family Meindert, Sytze, Annelies and Johannes in Leeuwarden. The family emigrated to Canada in 1953 and settled in Stratford Ontario. Helena and her husband John developed a successful business in furniture, drapery, and colour TV sales. John passed away in 1993 and her beloved daughter Ann Loghrin passed in 2009. Helena is survived by Mike, Betty and their children Susan, Kathy, Anne Marie and Steven; by Sid, Rosemary and their children, Christopher, Peter and Jessica; and, by John, Lucy and their children David and Philip. She is also survived by numerous great and great-great grandchildren. She was the last surviving member of a family of thirteen. She was a strong woman who has inspired five generations of our family. In the words of a granddaughter, ‘I am proud to be your grand-daughter. Peace to you my beloved Grandmother”.